While editing these photos I realized that I don't make eye contact to the camera... I think it's safe to say that I've mastered the "looking away" pose. Haha! So excuse the lack of facial expressions/pose diversity. Today I'm sharing another fall outfit featuring this gorgeous waterfall cardigan that I picked up during the Nordstrom Anniversary Sale. It was my first time shopping the big NSale and I couldn't have been more pleased! 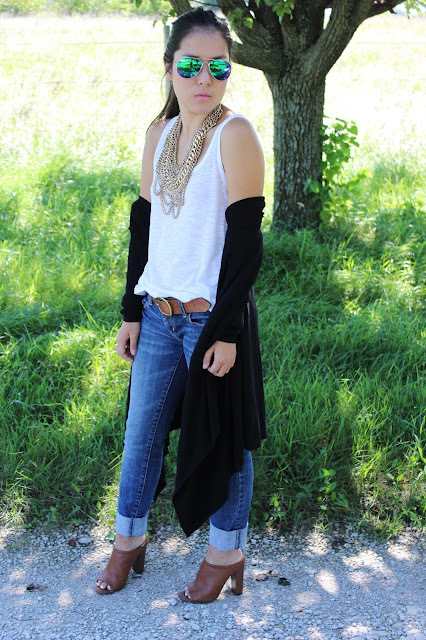 I first saw this cardigan on pretty much every blogger who posted about the Sale and after seeing it on Emily of the Sweetest Thing I decided I needed it too! Unfortunately it was sold out in the camel color (womp womp) but I did manage to pick it up in black! It's the perfect weight, not too heavy or too light and is super warm and cozy. It will definitely be a staple item this fall and winter for sure! I will say size down. It is a bit oversized so go down one size. I'm normally a small and the x-small fits perfectly. 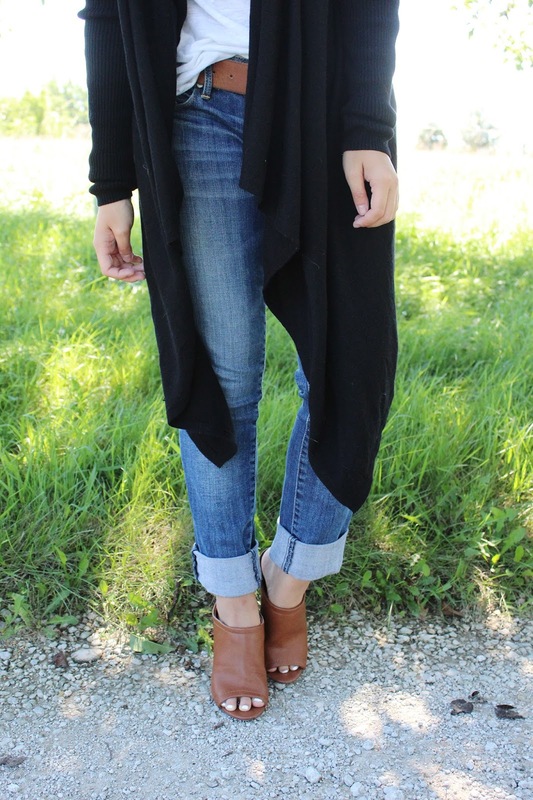 This cardigan will be perfect with a tunic top, leggings and boots or over a cute dress. There are endless styling options! Did you pick up anything from the NSale? 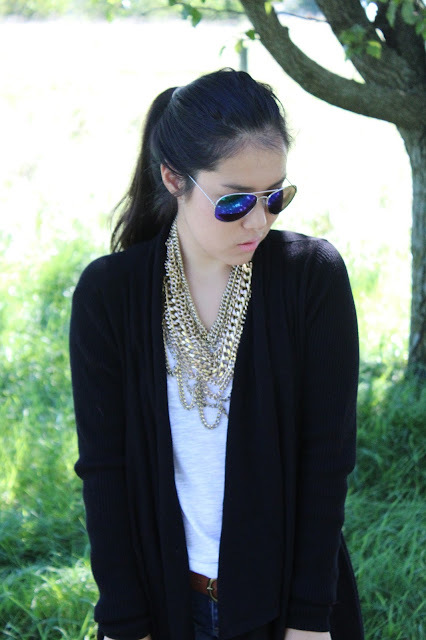 Thoughts on me becoming a fashion blogger? Leave me a comment sharing!